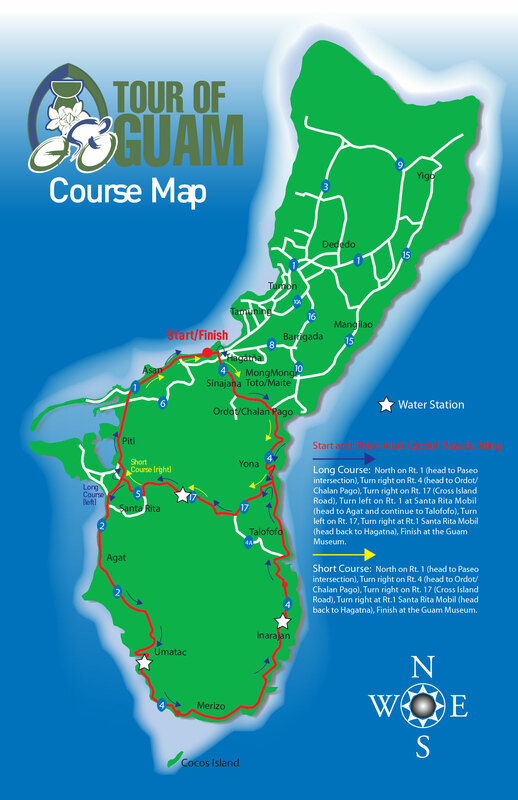 The Tour Of Guam started back in 2010 when the race started and finished at Jeff's Pirates Cove in Ipan, Talofofo. A few years later the staging point was moved to the capital city of Hagatna where it remains today. 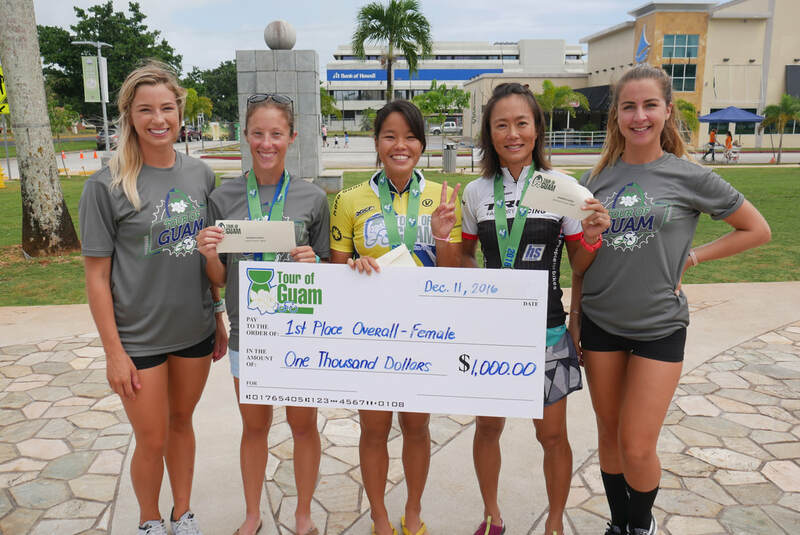 The Guam Cycling Federation, along with the generous support of the Guam Visitors Bureau, holds the event for the benefit of the local cycling community and as an attractive option for active sports-minded travelers to visit Guam and participate in this annual event. The race also serves to crown Guam's National Road Cycling Champion for both male and female riders who meet Guam's residency requirements as defined by the Guam Nat'l Olympic Committee. The top 3 male and female finishers in the Long Course Open category will vie for cash prizes in the following amounts: 1st - $1,000, 2nd - $500, 3rd - $250. Medals for long course will be awarded to the top 3 in each age group. 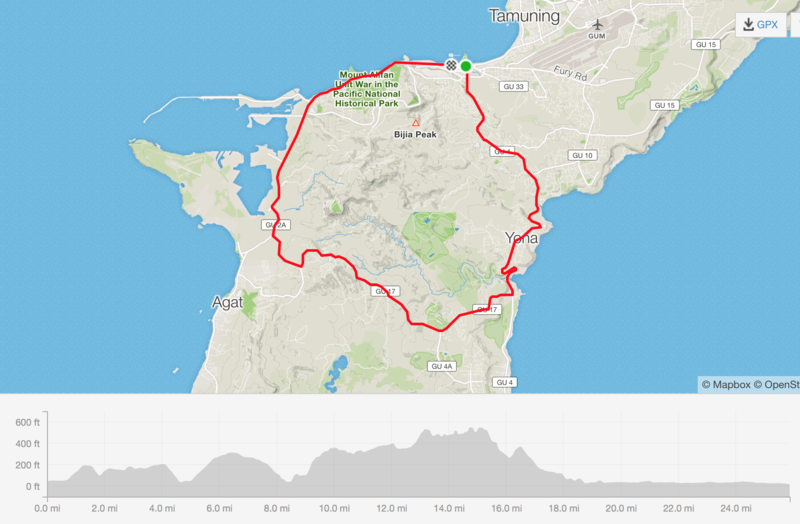 Please note, ALL riders (long and short course) will have 6 hours after the start of the race to finish. Any riders still on the course after 6 hours will be pulled by Guam Police Department. A vehicle will be sent to pick you up and return you to the start. 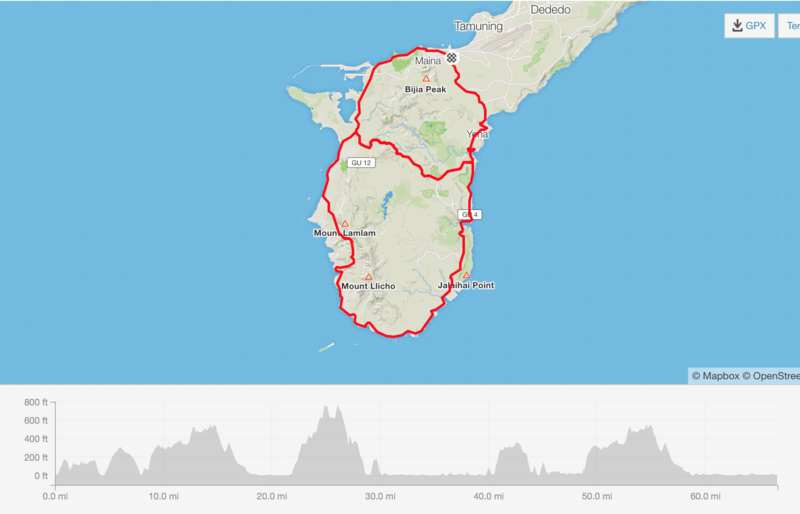 Click on the files below to view the overall course map and elevation profiles for the long and short courses. 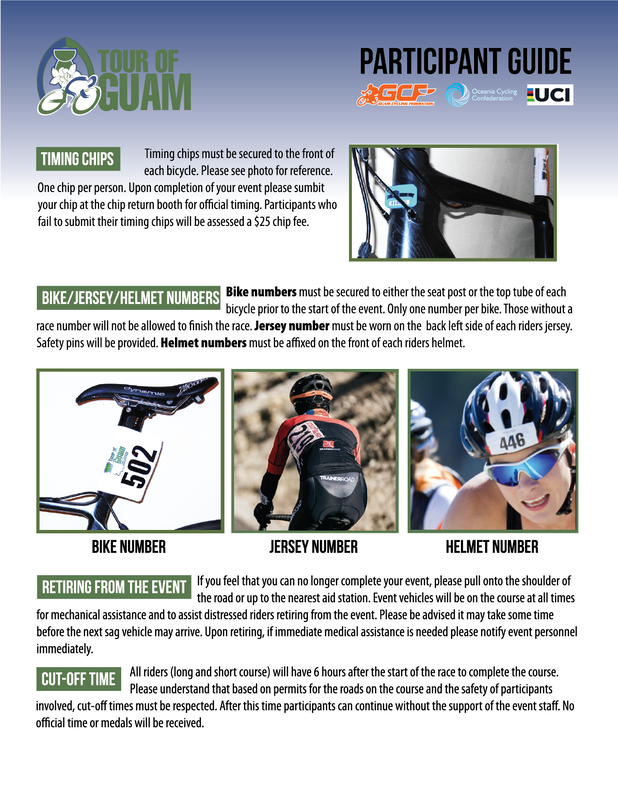 Please read through the information regarding attaching timing chip, numbers for the bike frame/seatpost, jersey numbers, and helmet numbers. Additional important info regarding dropping out of the race and cut-off times.